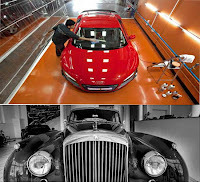 Select Nano Luxury Spa for Car in Dubai, Now you can bring your car into a luxury car wash for a micro level cleaning. you can rejuvenate your luxury rides for about $1000!!. Yeah we know everything in Dubai was so expensive so that this Select Nano Luxury Spa. It's a perfect fit for those people who can afford to buy an expensive car such as Lamborghini reventon, roll royce phantom or even Bugatti veyron. 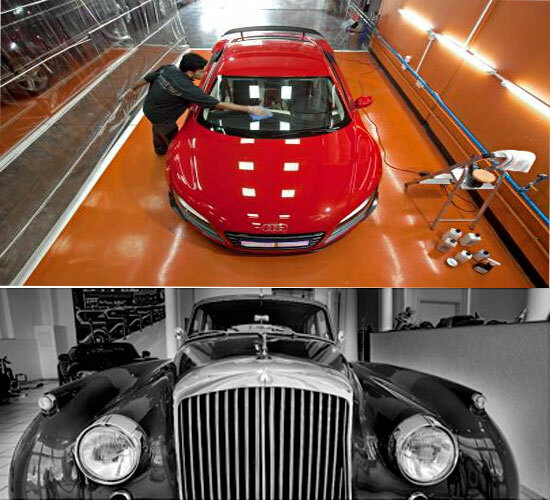 This Luxury Select Nano Car Spa could became the world's most expensive car wash today. This particular franchise is associated with the German parent company with the similar name. With expertise and training from the company, similar degree of perfection and craftsmanship is now available to the people of the Gulf country. The credit for doing it goes to Mr. Frederik Faidhi, who along with his business partner got the enterprise to set foot in Dubai. The ‘Select Nano’ car-spa, as we know it has seen the likes of Aston Martins, Bugatti Veyrons, and recently, the Audi R8 GT, which Mr. Messayeh, who happens to be a regular patron now, got refurbished into a new look altogether. He is known to own vintage vehicles as well such as the 1972 Mercedes 300SEL 6.3 and the 1974 Caddilac Eldorado, which have been given the treatment we speak of. On research with the workers at the spa, we found out the elaborate procedure, which goes as follows: each car is first cleaned with de-ionized water and special micro-fiber cloth, which is used in a special ‘throw and wipe’ motion. After a micro-detailed inspection is done, nano-technology is used to find out the granular level imperfections if any, and then the car is applied with an alcohol based solution to set overnight. This coating is known to give the car an anti-dust coating which lasts for close to a year, and helps retain the original shine of the vehicle. Such has been the difference, which consumers have rechecked with microscopes, and no complaints have yet been received. However, for those that may like other options, do take a look at ‘Auto Spa’ which happens to be most expensive the world over. The nano car is not the first externally powered molecule, but it is the first that uses its own power to move in a directed way across a surface and the regard of their nano car design as a step towards developing nano machines capable in the future of carrying out work at the molecular level.